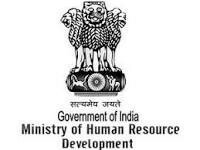 The Ministry of Human Resource Development (MHRD) has started an online Annual Refresher Programme in Teaching (ARPIT), which will cover over 1.5 million teaching faculty in education. The course, under the Pandit Madan Mohan Malviya National Mission, gives high flexibility to teachers who can take the course anywhere and anytime. The registration for the course will be open till 28 February, 2019. The teachers will be awarded with certificates upon completion of the course. ARPIT is a forty-hour module with 20 hours of video content offered in a highly flexible format. The course covers a diverse range of topics like Indian culture and heritage studies, personal emotional development and counselling, information and communication technology in teaching maths, science, etc.